The need: Decisions made for dairy farm businesses rely on access to information. Although a large amount of data is routinely collected on farm, it tends to remain ‘trapped in silos’. 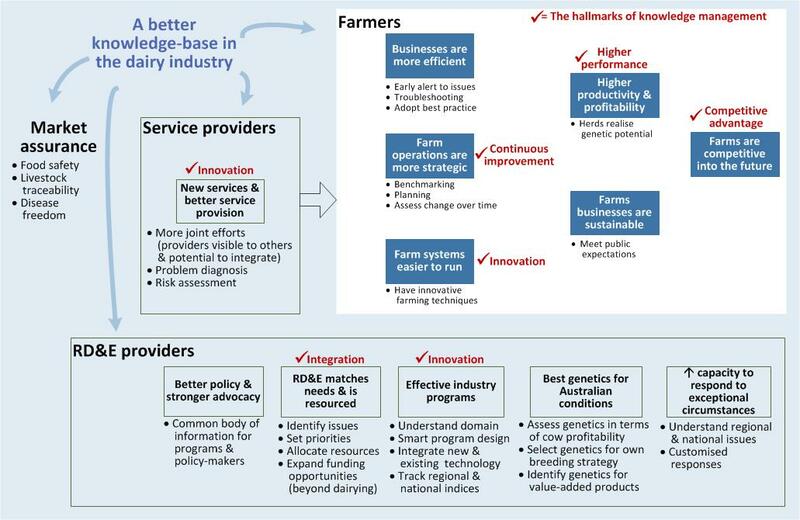 This fragmentation incurs a high opportunity cost with farmers, service providers and industry organisations often taking action on a fraction of what is actually known collectively. What we did: In 2012 the Harris Park Group wrote a business case for Dairy Australia’s Centralised Data System, an industry hub for electronic data pertaining to animal and herd performance. The business case described a pre-competitive system where the governance, function, security and access requirements of multiple stakeholders (many with commercial interests) could be met. In 2017, this approach to data collation is being built by DataGene, the new dairy industry herd improvement business.